Join us as we wrap up our tribute to the late, great Elmore James — legend of the slide of the guitar. From his early days in Mississippi to his last recording session in New York City, we’ll hear the remaining titles from his career. 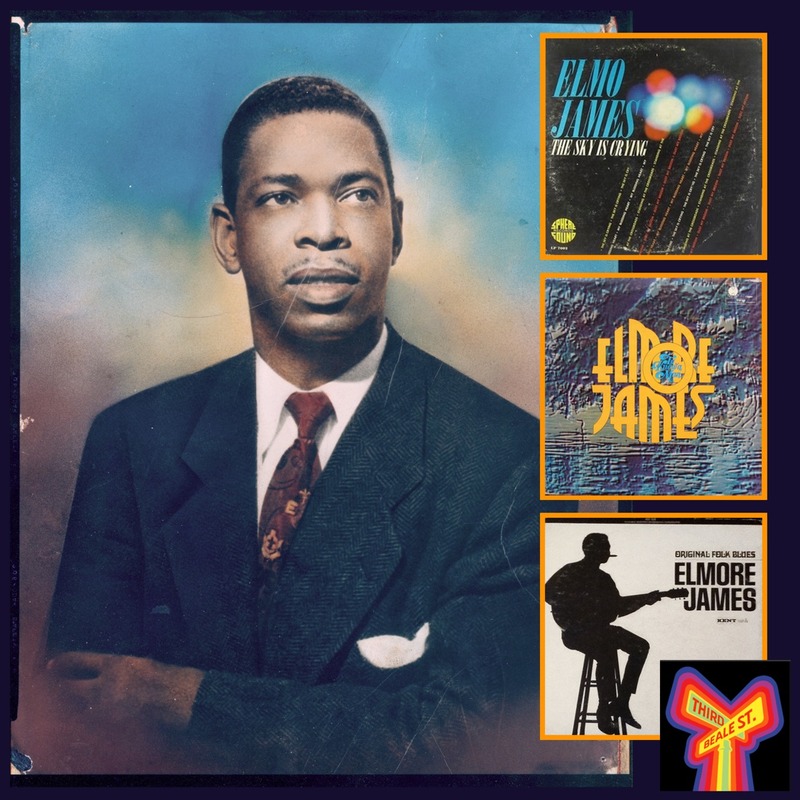 It’s Elmore James, part four, on this episode of Blues Unlimited. Pictured: Hand-painted photo of Elmore James courtesy of Blues Unlimited magazine. Inset: Some LP fan favorites.